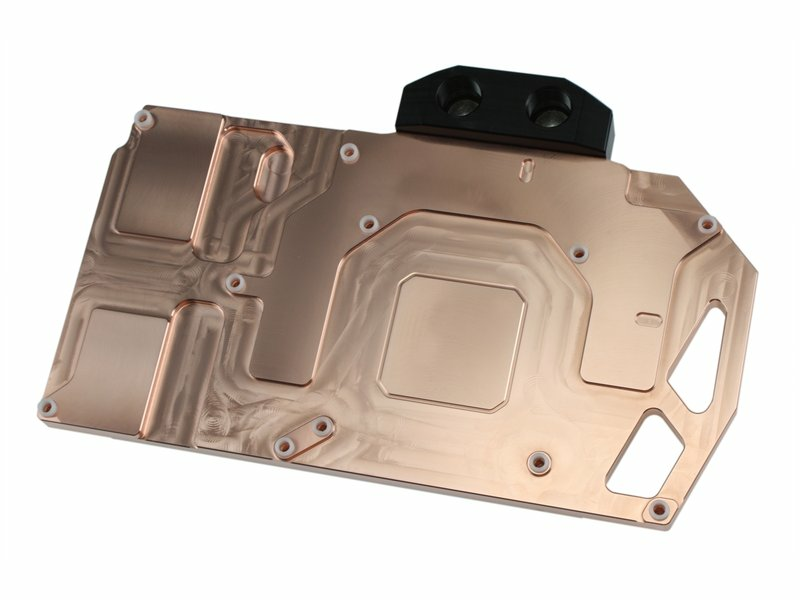 All water carrying parts of the cooler are made from pure electrolytic copper or stainless steel, and the connection block is made from black POM. The top is protected against staining by a special clear varnish. The design of the “Hole Edition” features a perforated cover plate. Aside from the GPU, memory and voltage regulators are cooled. 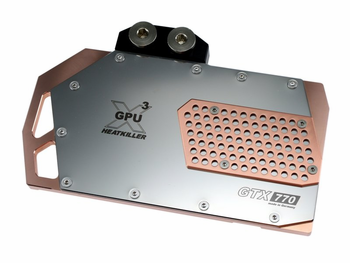 An extremely fine microstructure sits right above the GPU and guarantees, assisted by a low residual base thickness, optimal cooling performance. Integrated isolating stand-offs allow easy mounting of the cooler. To reduce flow resistance and overall weight, all channels are constructed as wide as possible. Threads on both sides of the connection block ease integration into the cooling loop. 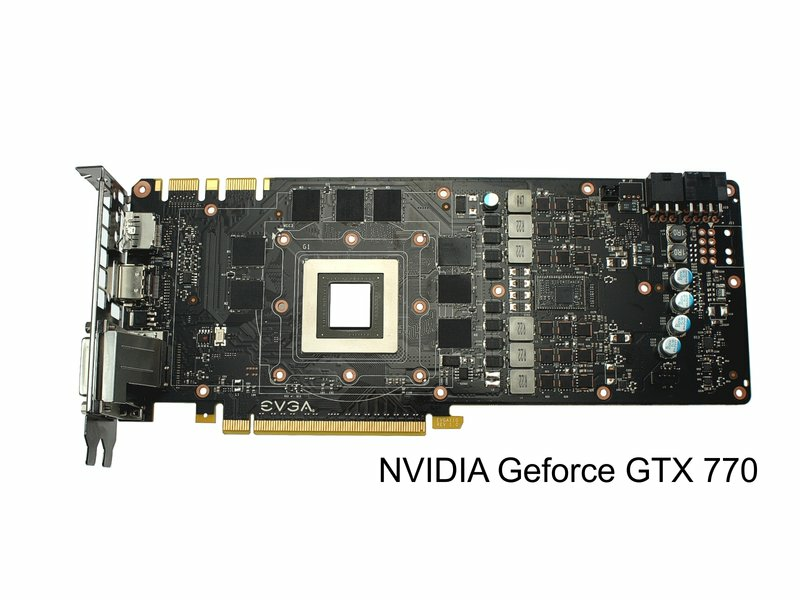 Dual- and triple-connectors for SLI-setups are available. 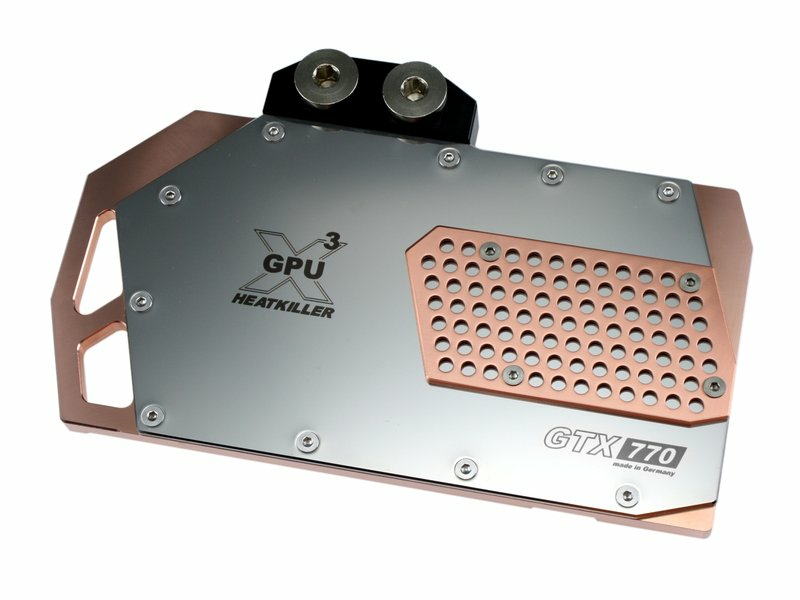 1x HEATKILLER® GPU-X³ GTX 770 "Hole Edition"